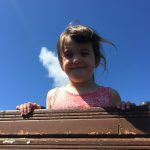 This past month has been a bit of a rollercoaster for us financially. With a sudden drop in income it’s become more important than ever to embrace being frugal. 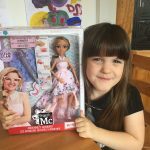 I’ve been busy re-reading some of my favourite frugal and thrifty blogs, as well as scouring Pinterest for ideas. 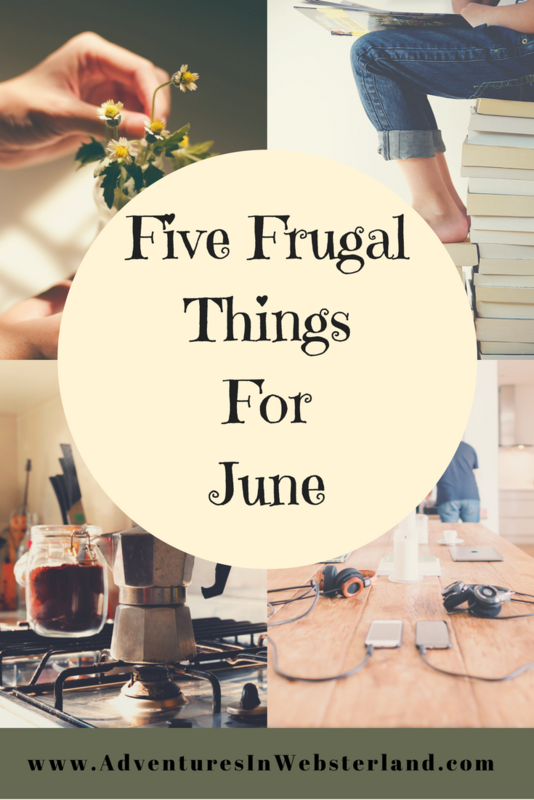 Here are my five frugal things for June. I have a confession to make, in the past I have thrown away stained clothing instead dealing with it. I know it’s terrible and ever so wasteful. This month when faced with four stains I decided to change my ways. I got a big tub of vanish from the reduced section in the supermarket and went to work. I’m happy to report that the stains have gone and the clothes have been saved ! I’m almost out of shower gel and at this point I would have bought some more. I remembered I had a stash of Christmas scented shower gels in my wardrobe. I’ve challenged myself not to buy any more until they are all used. So what if I smell a bit festive over the Summer ! I’ve made a simple rolling meal plan meaning that for the whole month we will repeat menu. This has taken so much stress away from deciding what to cook. It’s also saved us money as I’m only buying exactly what we need. Line drying is a popular feature in my frugal things posts. I do believe it’s one of the most frugal things you can do. I’ve made the most of the beautiful weather and pegged as many washing loads out as I could. I think my record this month was three loads in a day. I’ve got my eye on this retractable washing line so I can hang even more loads out. I’ve been focusing my time on a few survey sites and it’s proved to be lucrative. I have been able to cash out some of them putting the money towards our Christmas savings pot. Some of my favourites are Prolific Academic, i-Say, Populus Live & New Vista . Disclaimer: This post contains a referral link and affiliate links. I’m guilty of buying more shower gel when I have a cupboard of Christmas smellies I need to use as well.